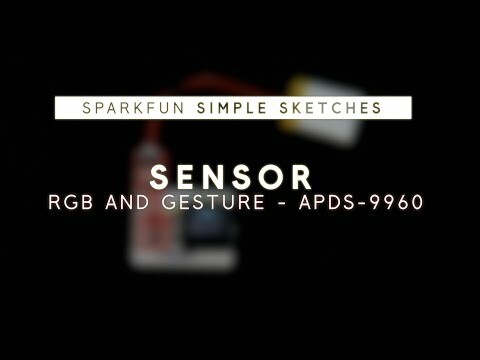 The built in APDS-9960 sensor gives you ambient light,and colour measuring,proximity detection,and touchless gesture sensing. 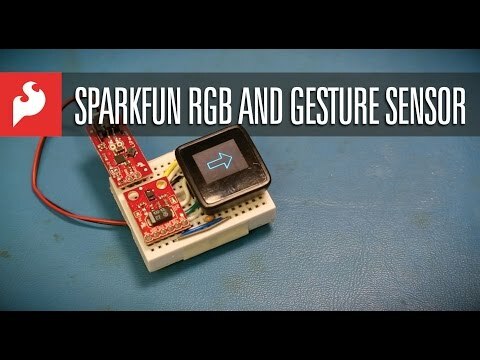 You can control a computer,microcontroller,or a robot with a wave of your hand! This small breakout board, has a built in APDS-9960 sensor, that gives you ambient light, and colour measuring, proximity detection, and touchless gesture sensing.This sensor will enable you to control a computer, microcontroller, or a robot with a wave of your hand. Samsung use this sensor in the Galaxy S5. It has six breakout pins VL Optional power to to IR LED, GND Ground, VCC power to APDS-9960 sensor, SDA i2c data, SCL i2c clock, and INT interrupt.